Article Contributed by Editor-in-Chief J. Townsend. This whole thought process was derived from a conversation about the sustainability of hunting in modern times. Many people feel that hunting for food has outlived its use in modern America. Well, with the recent changes in our eating habits, as in searching out fast food instead of fresh food, hunting had been surpassed. There is still an emerging group which believe we should kick the fast food and revert to the traditional “Farm to Table” way of eating. I agree with much of this philosophy and wish to take it a step further. I am here to represent those who feel that a family can sustain a portion of their diet with game meat. I know many of you see this and think you would have to spend your every day hunting and fishing in order for that to work. Simply not true. In thousands of rural areas (and some non-rural areas) there are people who either are supplementing their diets partially or fully with game meat. I have to admit that when I was younger there were many things that I though you could only shoot or catch to obtain. It wasn’t until I got to college when I realized that you could buy catfish from the store. I had believed, due to my outdoor upbringing, that if you wanted catfish, you went to the river/lake/pond to catch it. 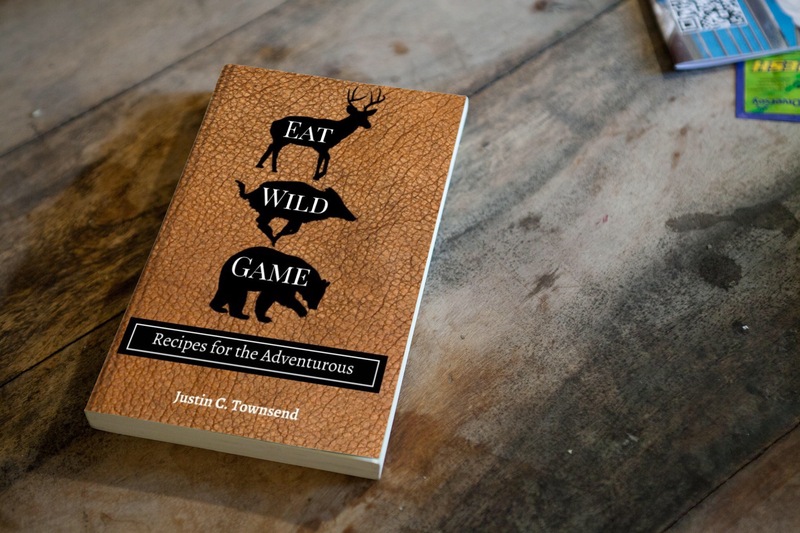 I have also heard the argument that many people could not live a lifestyle where you sustain yourself on wild game. They say that they prefer to not see where their food originates. They cannot stand to eat food with bones in it or eyes staring at them. My only advice to these people is that they trust too much in the grocery store to get their food. Those same people have not seen the cramped dirty feed lots or the packed chutes of a slaughter-house. They could not handle the sights and many would revert to vegetarianism. Me, I prefer to get my meat from the wild. I offer up hunting and fishing as an alternative to the dependency upon store-bought meat to those people who don’t mind processing your own animals or eating a fish that looks up at you from the grill. Simply put, hunting and fishing is a healthier and more economical way of providing the necessary proteins that you need for your diet versus going to the store and buying a package of ground what-ya-ma-call-it. I don’t wish to deceive anyone, it is certainly a lot more challenging to track and kill and animal then it is to go to the super market. But where is the independence in that? In the end, the total cost of hunting and fishing enough meat for a family of three will be substantially lower than the cost of buying a somewhat equal product at the store. 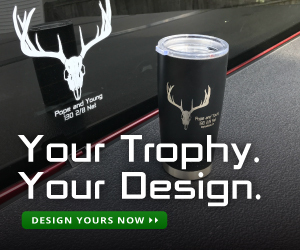 You can sustain yourself by simply securing a selected amount of five different game animals (Deer, Elk, Turkey, Rabbit, and Wild Pig) and three different fish (Tuna, Catfish, and Trout). The animals you choose to hunt can be changed to suit your specific region. Let’s break it down. The USDA recommends the average person (children, women, and men) consume 5 – 7 ounces of protein a day broken down into 2-3 servings. So we will use is 6 ounces of protein a day for the average person. This gives us 2184 ounces of protein consumption for the entire year. Converting this to pounds will make it easier for our calculations. The average human should consume 136.5 lbs of protein a year. Here is an average breakdown of the yield from my selected game animals. 435lbs of meat is enough to sustain three individuals for a period of about a year. As an alternative, if the choice to hunt an elk is not reasonable then you could exclude this from the equation. You would then have 85% of your total protein consumption for two people from game meat. The other 15% would include the consumption of other sources of protein such as eggs, nuts, and beans or the addition of another fish or game animal. There is certainly room to play around with the figures. This model serves merely as a base line for the sake of debate. Deer and Elk would take the place of beef in your diet. Turkey and Rabbit would replace chicken. Wild Pork will substitute store-bought pork and hand caught fish would replace that fresh/frozen purchased or canned. Average prices for the store purchased meats will be combined with the total yields of wild game and fish. I know, you are thinking to yourself, that’s not that too bad for three people. Here is how we will figure the benefit of landing your own meat. This example works for me here in California. For others it may be cheaper or more expensive depending on where you live. There will still be a substantial difference in the totals. The total for all the necessary licenses and tags for the state of California equals $164.53. The cost of a deep-sea fishing expedition out of San Diego is $46.00. California hosts a random drawing for the Elk tags so I chose Washington for my Elk meat because the state allows an open purchase. 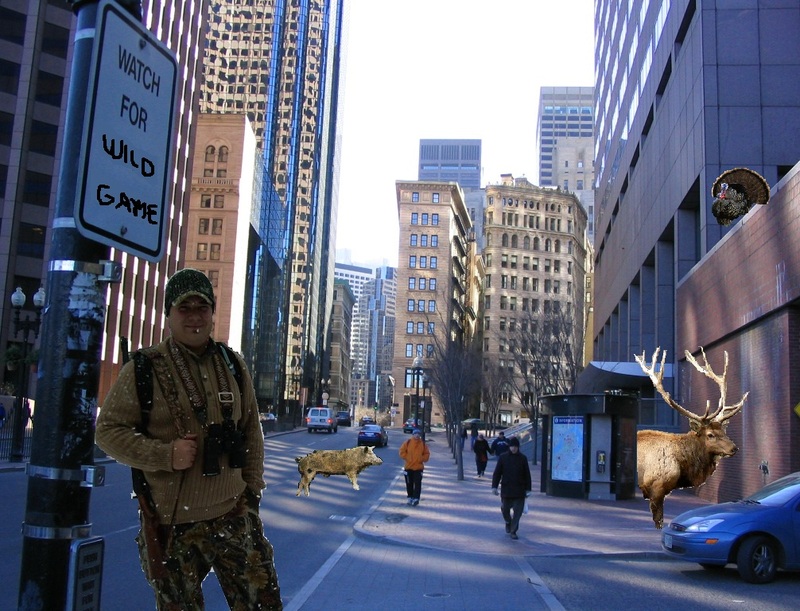 In Washington, a Non-Resident Elk Tag is $497.00 and a Resident Elk Tag is $50.00. So that gives us a Grand Total of $260.00 or $707.00 depending on how you play your cards. That is a savings of $1688.00/year on average. There are really only two variables present in the equation. If you do not have the necessary equipment then you would have to purchase such equipment prior to hunting or fishing. This would be an upfront cost which would diminish over time as you acquired the equipment. The second would be your success rate. This model is based upon a 100% success rate. Each year you would be hunting for your food for the following year. If you failed to meet the quota for a specific season then you could modify your plan to encompass other game animals or supplement the remainder of your diet with other sources of protein depending on the time of the year. The health benefits are certainly present. Game meat has been proven to be leaner and more beneficial to your body than domesticated livestock. The condition from which wild game is harvested is much cleaner, environmentally safer, and healthier than its domesticated counterparts. As an added bonus, the general worry about injected hormones, toxins, steroids, and additives are eliminated. What you harvest is safe for your body. Now your food is as organic and local as it gets. Not to mention, the pursuit of game requires some level of active participation which forces you to live a more involved lifestyle as you pursue your food. So, in the end, it is more sustainable, healthier, and more economical to hunt and fish for your meat versus purchasing them from the store. What are you waiting for? Grab you pack and get outside! Thank you for the info it was just what I’m looking for. I’m in FL and just looked at a couple of fishing charters though and man they are expensive. 200 to 350 bucks. Thanks for the comment. Wow, that is expensive. I would look at gathering some friends to split the cost of the charter. Also, depending on what part of FL you are in it may be just as beneficial to do some shore, pier, or jetty fishing more regularly. I know many parts of FL offer great fresh, brackish, and saltwater options. It may take you a little longer but you could catch a larger variety of fish and still acquire the same amount of meat. J. I found another place that is only 50 to 80 bucks for a half day. Its an hr away, but I will try it. Where did you get the statistics for your paper. I am doing a research paper and would like to use some of that info. Which stats are you reffering? If you are asking about yeild weight then I googled each animal seperate. For the cost estimates, I looked at the market prices of each type of meat. Let me know if you have any other questions. I am not really familiar with the prices in Canada. I would expect them to be very similar. Thank you for taking the time read the article. Hey I am writing a paper and was wondering if u could give me some info on how hunting deer and getting fresh meat is better than buying processed meat from the store? Yes, please direct your specific questions to my email. Jtownsend86@gmail.com. Are you the author of this article? Id like to quote a couple lines from this foe a research paper and would like to give more direct credit than just a broad website credit. Julie, Thanks for your inquiry. Our Editor in Chief, Justin Townsend wrote this article. You can reach out to him at jtownsend@harvestingnature.com with any questions. I would update your yields a bit, there are two types of Elk. The elk we have (wapiti elk) and they are the smaller elk and they yield well over 200 pounds of edible harvest and our deer (Mule deer) yield well over 100 pounds. That being the case I question your other yields. Thank you for your comment. I can certainly see where you are coming from. These yields are averages of the various game listed. The yields can also be customized to your location and available game species. This does not change the main idea of the article that it is cheaper to hunt versus buy your meat at the supermarket. Yes I agree your yield numbers are not very accurate however your underlying process is sound. To further your process I would ad that typically you can harvest 1/3 of your dressed animals weight. So this year we harvested a 1196 pound elk dressed weight so that’s 797 pounds of edible meat. I’m a cattle rancher and also an avid hunter. I’ve eaten as much wild game as I have beef. I like your thinking of obtaining your own meat. A few things to also consider with hunting, first tags and licensing are only a fraction of hunting costs. Other expenses and considerations beyond the start up costs include, time off of work, travel, wear and tear, lodging, time spent getting into shape to endure the demands of hunting and packing meat, odds of success in the area you plan to hunt, learning how to properly dress and butcher game, packaging materials, meat grinder, and freezer space, and also the electric costs of having a large freezer. I live in a rural area in close proximity to hunting areas and know very few people who can honestly claim they save money by hunting. Also I beleive the media and animal rights groups have misrepresented the animal agriculture industry. The hipe of overly used antibiotics and hormones in beef is quite rediculous when people rush to the doctor to get antibiotics when they get a sore throat, and the amount of hormones ingested from birth control pills and ED drugs just to name a few. I have no problem feeding my children meat raised in America wheather it be beef, chicken or pork. I can honestly say that eating game is cheaper for me because I have game on my ranch, I can take about 8 hours to harvest and butcher a deer, placing it next to my beef in the freezer. Americans also love their food. we want a consistent pleasurable eating experience. Hunting doesn’t always provide the ability to pick what you want. Your choices of quality are better at the store! Hunting for few people is about saving money. For most, it’s a way to supply food for the family while getting away from the daily grind and misinformed media to enjoy the wonders of nature. Great premise. I’m looking to open a restaurant so there is one obvious flaw for me here. You compare the price of hunting the whole animal vs buying by the lb. as opposed to buying the whole animal. I’ll be in Florida and I know there are different costs to hunt, but what are the differences in price if I hunt myself vs buying from the hunter or third party or on amazon or whatever the “modern” way would be. This is the real question I have. I hope it inspires another article, either way, any leads for me in Miami will be reciprocated with findings. Please know that buying or selling true wild game is illegal. The “wild game” you see in restaurants is actually farmed raised. Be sure to check your local laws and regulations for details. I’ve been considering making fish that I can catch locally a larger part of my diet to save money. This article was okay, but it misses out on one major thing: Opportunity cost of time. How long does it take to catch x amount of fish or hunt for y amount of turkey? And in that time, could I have made enough money at work to pay for that and more? For example, let’s say it takes me 4 hours to catch and clean 1 turkey yielding 11 lbs of meat (I don’t hunt so I don’t know if this is a reasonable amount of time). In those 4 hours I could have picked up an extra shift at work. Assuming I make around $12/hr that would leave me with almost $40 after taxes. For $40 I could simply buy 20 lbs of turkey meat. So taking that idea into account and applying it to my fishing inquiry, I just don’t know if, from a financial standpoint, it’s still worth it. I’d love to hear opinions on this. You are correct. The article does not factor in time and honestly, it could never account for time spent in the field. For most hunters and anglers time is not that black and white. They are involved in the sport because of the passion they have. Imagine spending all of your free time hunting merely for a love of the hunt with the end result being that you get to provide food for your family at the end. Also, think if a person who is a subsistence hunter and has no food other than wild game. They would dedicate all of their time to hunting. Time spent hunting and fishing is not as easy to quantify. I have spent days in the field with no animals harvested. There is an understanding when I leave the house that I may not come home with meat but I know I will continue the pursuit regardless. Unfortunately, it is not as easy to say in four hours I will catch 5 fish. On the other side, when you hunt and fish, the meat you harvest cannot be purchased in the store. You are providing food of a higher and purer quality. Even organic produce bought in stores is more expensive. As a hunter and angler you are filling two voids. One satisfies your passion of being an outdoorsman and the other feeds your family if you are successful. Working extra hours may provide the ability to buy a large expensive steak, but will it cute your need to venture into the wilderness, camp, hike, fish, and enjoy nature while hunting? So where is the information about the cost of processing the meat? Most people don’t know how to skin a deer, elk or wild bore, then cut it up into roasts, steaks or to grind it up. Holy crap that economic model is way, way off. The benefit of store bought meat is that you don’t have to spend the time harvesting it. If you can instantly kill and clean your game then yes, you get to save “$1688.00” per year. But it’s not even the gross misrepresentation of 100% success rate used in your example, it’s the fact that you’ll have to spend days worth of your time hunting or fishing or whatever, then time on top of that to prepare and store the meat. All of that spent time is called opportunity cost. It’s the time spent doing one thing when you could be doing another, and the differences in the “rewards” you get for doing them ([usually]money/happiness/whatever). And when that time is applied to something other than prepping your non-store-bought food then you can see how the opportunity cost will quickly exceed the measly $1688/ year. Which is nothing on it’s own. Don’t get me wrong, I found this article while trying to discover ways that hunting is beneficial to the ecosystem/community/etc but financial incentive is just the worst thing you could try and argue is a benefit unless hunting is literally how you make your living. Thanks for the comment. I understand the point you make. Time is money. Think about it this way. This article promotes another benefit. Just like the rewards and benefits you are searching for on the internet. I am not saying that I hunt solely for the economic benefits. I have many reasons why I hunt. Putting meat on the table is the top reason. For me that is a job I take seriously. I have the option to purchase food from the store just as most do. I chose to spend my time working towards a harvest which adds more value to my life and my families life outside of economics. The article was written to highlight what I see as an economic benefit to my family. I often approach hunting as a job, one I enjoy, but a job none the less. My pay is in meat not in dollars. Every pound of meat which goes in the freezer is less I purchase from the store. Does a rancher raising cattle take the hours spent raising that steer in to account when it goes to slaughter and is put on his family’s table. Sure he does, but it’s more than just money that motivates him to keep ranching.